Walking the halls of Ohio funk you’ll find its freshest young groove makers answering the call to form a spectacle of epic proportions. Safety Squad is an over-the-top fusion band that has been taking over stages in the Midwest, pounding out dance grooves that makes everyone and their mama’s mama get up and move. 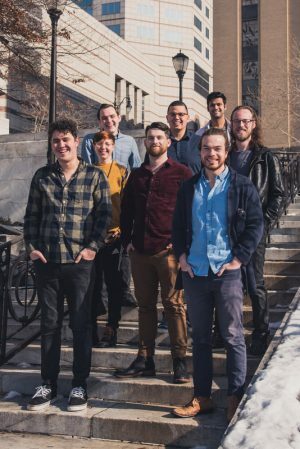 Influenced by groove monsters Snarky Puppy and Vulfpeck, Safety Squad is a powerhouse band you should give a funk about. Their Sophomore album “Into the Danger Zone!” due in April, combined with their powerful stage performance is taking these guys out of the safe zone and straight into the National spotlight. Read the JazzColumbus.com review of Safety Squad’s self-titled debut album here. Read the JazzColumbus.com review of the band’s second album Into The Danger Zone here.